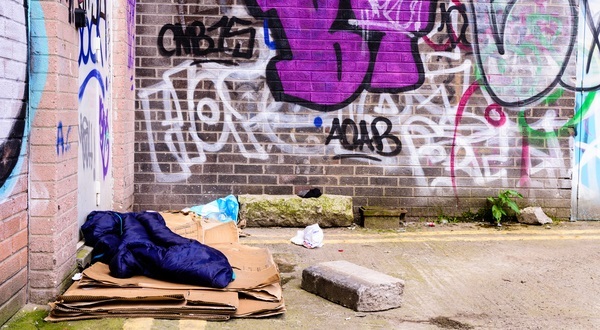 The incomes of the poorest households in the UK have slumped so much last year it has led to the ‘largest rise in poverty since Margaret Thatcher was in power’, according to a report by the Resolution Foundation. Benefit cuts and rising inflation are singled out as the main causes behind the 1.1% rise in poverty experienced by the population in 2017-18. The Resolution Foundation also points to low wages as a cause behind the increase in poverty. They say average earnings are still £13 a week down on a decade ago: nearly £680 a year less. The report highlights a rise in low-paid jobs since the recession has pushed up the numbers of people living in poverty, despite being in paid employment. The increase in zero-hour contracts is also causing job insecurity to become increasingly widespread. As incomes have been falling and living costs increasing, people have been increasingly getting into debt to cover the basics, according to a recent Citizens Advice report. Both consumer credit, such as car loans, and household debt, such as energy bill arrears, have been on the rise recently. The report highlighted the hidden but staggering growth in household debt. This includes billions of tax credit overpayments, Council Tax arrears and water bills. The total value of missed bill payments has risen by 34% since 2010. Find out what welfare benefits you are entitled to by using the Turn2us Benefits Calculator. Search for charitable grants by using the Turn2us Grants Search. If you need advice, use the Find an Adviser tool to find local help. Previous Living Wage still not enough?